Think you can't love your bed more than you already do? Well, we have news for you. Add the 100% cotton Viskan bedspread and you'll be infatuated all over again. 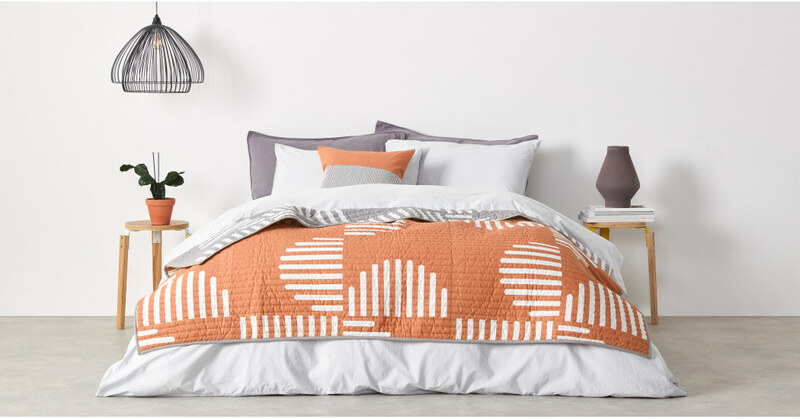 Squares, stripes, circles, quilting - even though this bedspread looks deceptively simple, it has it all. Add texture, pattern and colour to your room in one fell swoop. Can't decide which colour to opt for? You don't have to. Viskan is reversible so you can give your bedroom a warm, cosy, rosy accent with the blush, or a sophisticated, cool, grown-up edge with the grey.